Even if you lose you still get an award! The Red Lantern Award is given to the last team to finish the Iditarod. 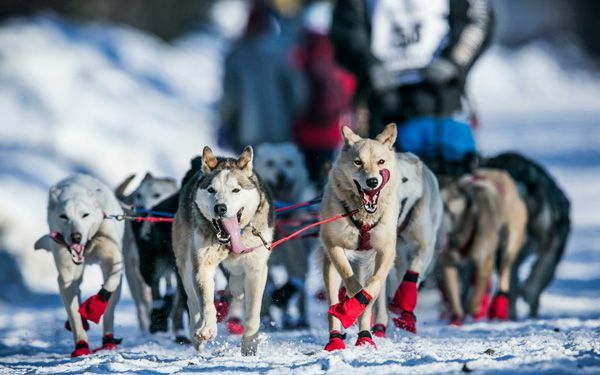 The winner usually completes the race in eight to ten days, though the longest any team took to finish the race was 32.5 days.The Red-Lantern tradition originated in 1953, during the three-day Fur Rendezvous dogsled race in Anchorage, and was passed on to the newer, and much longer, Iditarod. The name refers to the lantern that's lit during the race and not put out until the last dog crosses the finish line. 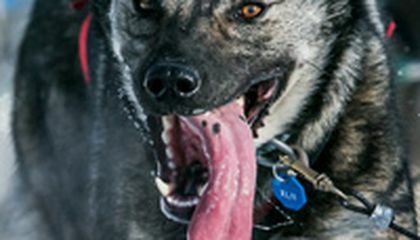 This year's Iditarod is completely different from currents years because the course had to be moved 225 miles north of the original trail. The new trail avoids the mountainous terrain, but leaves the packs facing a large portion of the race over unpredictable river ice. I hope that everything works out and that no one gets hurt or lost on a trail that many have not experienced before. This years race is considered an all new ball game because of the fact that the race has changed course. Sine the race is not the same it has always been you will see underdogs rise to the challenge not the normal winners that have finished first for several years in the last few decades.